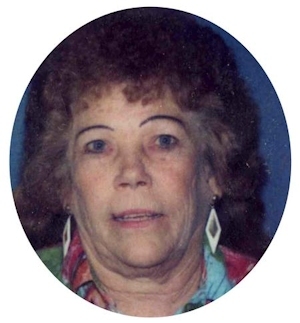 Obituary – Guffey, Ethel June (Chase) « Perry High School Alumni Association, Inc.
﻿Ethel June (Chase) Guffey, 69, of Perry, Oklahoma was the daughter of Chester G. and Velva L. (Schwab) Chase. She was born October 22, 1934 in Stillwater, Oklahoma and died Sunday, May 2, 2004 at her home. June attended Perry schools and worked as a waitress most of her life. She also had been a restaurant owner. She and Vernon Guffey were married Feb. 7, 1952 in Ridgeland, South Carolina. Vernon preceded his wife in death on October 24, 1996. Funeral services will be at 2:00 p.m. Wednesday, May 5, 2004 at Calvary Baptist Church. Rev. Roger Dunn will officiate. Interment will be in Grace Hill Cemetery under direction of Brown-Dugger Funeral Home. Memorials may be made to the American Heart Association or the American Lung Association in care of Brown-Dugger Funeral Home. Survivors are one son, Tim Guffey, of Perry, Oklahoma; two daughters, Tammy Guffey and Debbie Terrel and her husband, Richard, all of Perry, Oklahoma; one adopted daughter, Brynda Battles Hughes. of Perry, Oklahoma; six grandchildren. Stephanie Durand, of Rhode Island. Dana Wilson; of Perry. Oklahoma, Ed Terrel, of Fort Benning, Georgia, Toni Guffey, of Perry, Oklahoma, Teri Guffey, of Perry, Oklahoma, and Traci Guffey, of Perry, Oklahoma; five great-grandchildren, one brother, Edwin “Sonny” Chase and his wife, Peggy, of Perry, Oklahoma; one sister, Edith “Babe” Graham and her husband, Doug, of Perry, Oklahoma; several nephews and nieces, including one special nephew, Eddie Glen Chase and one special friend, Dena Engle, of Perry, Oklahoma. In addition to her husband, Vernon, her parents, one daughter, Beverly June, one brother, Gene Chase, and one great-granddaughter. Kaci, preceded her in death.